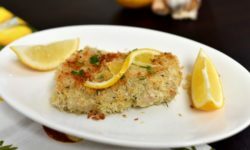 Breaded Lemon Garlic Chicken with Olive Oil will wow your family or dinner guests with the crunchy exterior and always tender and juicy chicken. It’s easy to prepare for a weeknight meal and the leftovers (if you have any) can create so many more dishes. 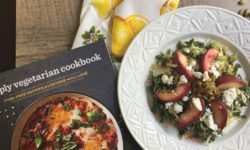 This Quinoa and Nectarine Slaw from The Simply Vegetarian Cookbook celebrates the flavor of summer stone fruit but will translate easily to any season of the year. 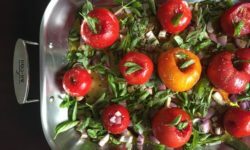 Roasted Tomato Sauce is so easy to make and a true revelation in flavor – it’s perfect for summer tomatoes and makes mediocre off-season tomatoes shine too. 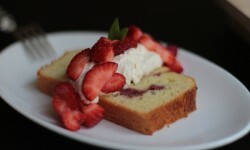 This Strawberry Shortcake Recipe baked with olive oil tickles your tastebuds with strawberries two ways and a touch of orange in the cake and topping. 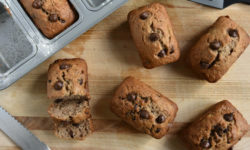 Banana Chocolate Chip Loaf – a super simple and satisfying quick bread. Perfect to use up an oversupply of bananas, quick enough to make during the week, and easy enough for your kids to bake as well. Chocolate and bananas … yum! 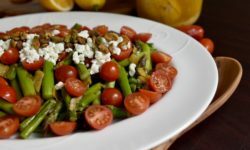 Roasted Asparagus Salad with Preserved Lemon is sure to appear many times in your spring and summer menus – as a light lunch, part of a buffet, or an inspired side to a sumptuous supper. Add fresh cherry tomatoes, crunchy nuts, and creamy cheese to make this salad taste even better than it looks. 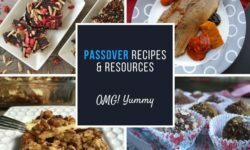 Whether you are preparing for your first Passover seder menu or your 31st, this post is full of tasty Passover recipes, tips, and holiday information to help you gather, learn, and celebrate with your friends and family over a traditional Passover meal. Whether you celebrate Passover or not, hurry to make this chocolate covered confection. 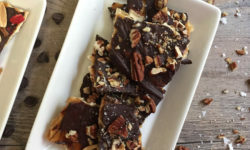 The combination of crispy matzo, crunchy toffee, and rich chocolate topped with nuts and sea salt turns an otherwise bland cracker into a tasty confection that is so simple to make. 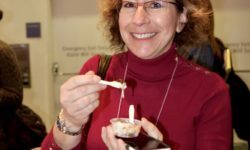 Fifteen Fun Finds at the Winter Fancy Food Show 2018 plus a Bonus Bite. Reflections on the trend towards healthy food and ingredients that really taste good. 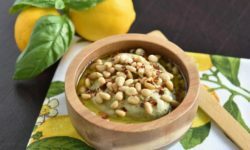 This white bean hummus style dip with basil, pine nuts, and meyer lemon is a burst of sunshine in the winter and a perfect celebration of the season in warmer months. Serve with fresh vegetables, crispy pita chips, or fresh-from-the-oven pita bread. 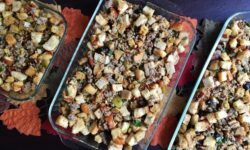 This 3rd installment in my Thanksgiving Basics series uses part 1 and 2 – stuffing cubes and stock – to create Sage Sausage, Cornbread, and Challah Stuffing – a textural and tantalizing taste of Thanksgiving in every bite.